Since 1965 Craftsman Tool & Mold has created precision, Stack Mold Bases and Rotational Spin Stack Mold Bases, for the Multi-Shot injection mold industry across North and South America. Many of the mold base programs Craftsman Mold Bases spearheads directly target the, In-Mold Labeling (IML) and In-Mold Assembly (IMA) areas of specialty, as well as, Medical Device Manufacturing and thin wall packaging areas of business. 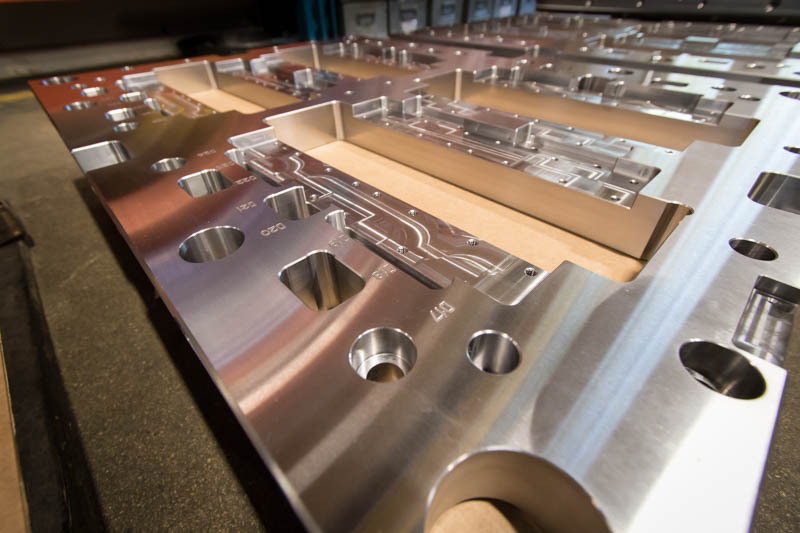 Craftsman Mold Base customers rely heavily on Craftsman’s ability to achieve stringent tolerances and precision machining for critical alignment components in the manufacturing of their mold base programs. Cavitation requirements often exceed 144 cavities and have tolerances often times in microns.